Music legend Aretha Franklin has sadly passed away following a battle with advanced pancreatic cancer. On Thursday, Aug. 16, 2018, the Queen of Soul's publicist confirmed to the Associated Press that Franklin died in her home in Detroit, Mich. at around 9:50 a.m. She was 76 years old. "In one of the darkest moments of our lives, we are not able to find the appropriate words to express the pain in our heart," Franklin's family released in a statement. "We have lost the matriarch and rock of our family. The love she had for her children, grandchildren, nieces, nephews, and cousins knew no bounds." Their statement continued, "We have been deeply touched by the incredible outpouring of love and support we have received from close friends, supporters and fans all around the world. Thank you for your compassion and prayers. We have felt your love for Aretha and it brings us comfort to know that her legacy will live on. As we grieve, we ask that you respect our privacy during this difficult time." As Nicki Swift previously reported, Franklin, who had struggled with a number of health issues over the last few years, was hospitalized earlier this week as a result of her cancer battle. Amid reports that she was "gravely ill," doctors allegedly told her close friends and family that she could pass away at any time. It was later reported that the cultural icon was resting at home with her loved ones by her side while in hospice care. 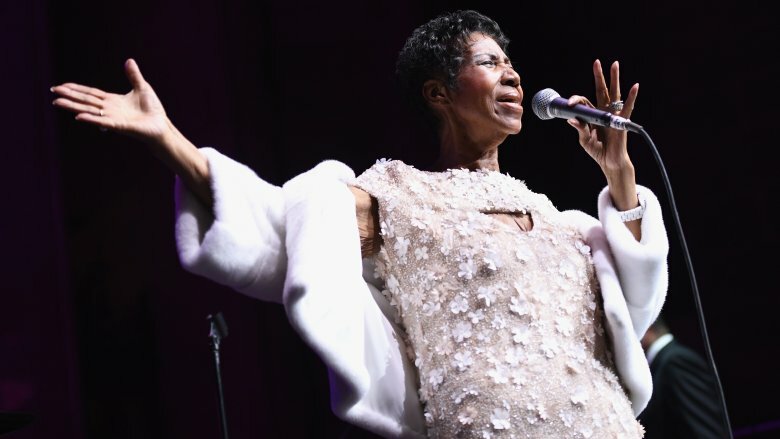 Over the course of Franklin's seven-decade career, she released 41 studio albums, won 18 Grammy Awards, and was the first woman to ever be inducted into the Rock and Roll Hall of Fame in 1987, as noted by NBC News. After shooting to super-stardom with "Respect" in 1967, which became the soundtrack to the Civil Rights movement, the music icon went on to transcend musical genres with her four-octave, powerhouse voice. 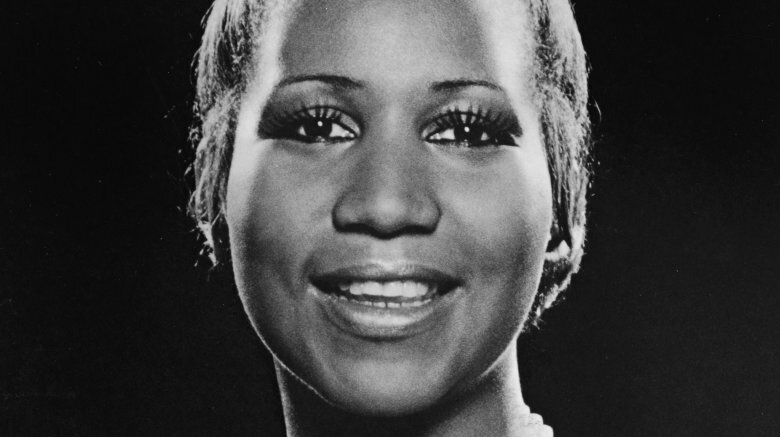 Her countless hit songs included the likes of "Chain of Fools," "(You Make Me Feel) Like a Natural Woman," "I Say a Little Prayer," and "Think." In 1994, Franklin received the Grammy Award for Lifetime Achievement and became a Kennedy Center honoree (via Rolling Stone). In February 2017, Franklin announced her retirement. "I feel very, very enriched and satisfied with respect to where my career came from and where it is now," she told Detroit's WDIV Local 4 at the time. "I'll be pretty much satisfied, but I'm not going to go anywhere and just sit down and do nothing. That wouldn't be good either." However, at the time of this writing, Franklin's next album, titled A Brand New Album, is expected to be released in November 2018 (via AOL). After news of Franklin's untimely passing broke, a number of fans and celebrities took to social media to mourn the loss of the legendary singer while sharing their thoughts and expressing their love, prayers, and condolences. "I'm sitting in prayer for the wonderful golden spirit Aretha Franklin," Diana Ross tweeted, while John Legend wrote, "Salute to the Queen. The greatest vocalist I've ever known." Paul McCartney tweeted, "Let's all take a moment to give thanks for the beautiful life of Aretha Franklin, the Queen of our souls, who inspired us all for many many years. She will be missed but the memory of her greatness as a musician and a fine human being will live with us forever." Meanwhile, Elton John shared, "The loss of @ArethaFranklin is a blow for everybody who loves real music: Music from the heart, the soul and the Church. Her voice was unique, her piano playing underrated – she was one of my favourite pianists," adding, "The whole world will miss her but will always rejoice in her remarkable legacy. The Queen is dead. Long live the Queen." According to E! News, Franklin is survived by her four sons, Clarence Franklin, Edward Franklin, Ted White, Jr., and Kecalf Cunningham, as well as her grandchildren and extended family. Our thoughts are with Franklin's loved ones during this difficult time.